I don’t believe in forgiveness. I believe in radically embracing what’s happened and milking it for the clarity and gifts that it brought, until there is nothing left to forgive. So how do you make peace with everything in your life and move forward (and upward)? 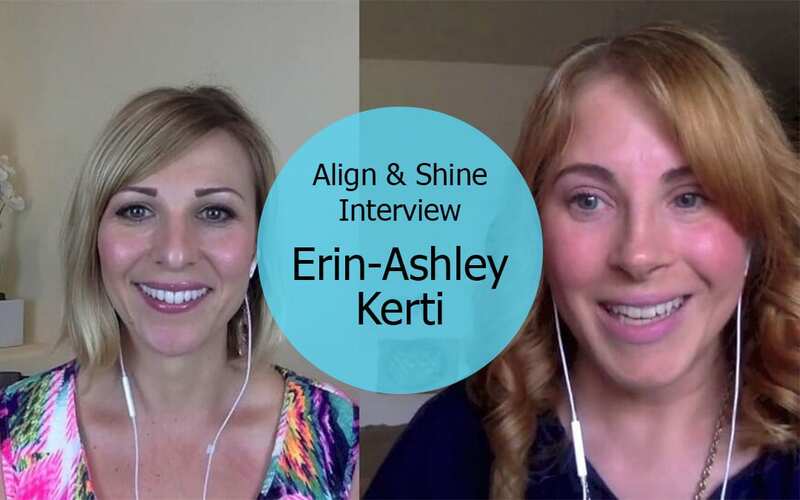 In this interview, my dear friend Erin-Ashley Kerti and I discuss everything you may want to know about who to forgive and let go. Erin-Ashley is head shaman and healer at Spiritual Mechanic and she is also a bit of a YouTube sensation! We are both long-time students of all things enlightenment and agree on the deeper universal truths, but we have differing opinions on techniques and real-world applications of these truths. Why energetic muffin tops are so uncomfortable… and SO MUCH MORE! The interview is chock-full of amazing insights on how to find alignment (even when other people seem to be in our way!). With all that forgiveness action, we felt so light and free we had to celebrate with a dance party! Check it out on Facebook. What does forgiveness mean to you? What challenges have you faced with moving forward when deeply hurt? I can’t wait to read your comments below! I found myself reflecting on the forgiveness topic. When I first started with forgiveness, I used Erin’s approach. The more aligned with Source I become, the more Lana’s approach resonates with me. This makes me wonder if, as we grow closer to Source, as our vision of our world changes how we interact with our world changes as well. I would think the changes will be inevitable. Absolutely, Therese! And I’ve grown so much in my views and I know that in 10 years I might be in a different place than today. So glad you enjoyed the interview! What a wonderful conversation! 🙂 I actually agree with both of you. <3 I do believe forgiveness is important and I have used ho'oponopono before (although I use it solely as a self-forgiveness tool when I realize I'm beating myself up.) To me, the "letting go" part of forgiveness is more about letting go of the anger or frustration you're feeling toward whoever you're forgiving and moving into higher-vibrating emotions. And I also believe that, ultimately, there is nothing that requires forgiveness… but, like Therese said in her comment, one probably needs to be more in alignment to feel the Truth in that. So well put, Jilienne!!! I’ve also heard Neale Donald Walsch say something similar in a talk and was so touched by this concept and by how deeply Neale applied it in his own life – his energy of love was so palpable! Totally agree with you about the different stages and that’s why I was so glad to have this conversation with Erin-Ashley and discuss that it’s more about BOTH/AND than EITHER/OR! This interview was very insightful. I loved learning the approach of boundaries to keep yourself focused and aligned. I always viewed boundaries to keep people at bay and myself at bay when boundaries were placed upon me. Interesting concept and practice to think about. Also the mindset of what gift I’m meant to learn from very harsh experiences resonated with me. My Dad, who I was very close to, passed away two weeks. I’m challenged with how to continue my connection with him from a spiritual place. I know I will discover over time how to continue my connection with him. Like you said in the interview, at some point you have to take yourself by the hand and take care of you. I interpreted that in keeping what my Dad taught me sacred and alive but also recognizing the importance of me, myself, and I. Thank you for sharing this great interview with Erin. Lauren, I got chills when reading about your dad (he is clearly very much with you and surrounding you with love, and also encouraging you to feel the self-love!). Seeing boundaries as keeping me aligned and happy instead of keeping others out has made a huge difference in my life – I find it so much easier and smoother to navigate relationships! So glad you got so much out of the interview, that’s exactly why we wanted to have this conversation!! Thank you for this totally aligned interview Lana + Erin-Ashley! I appreciate hearing each of your views and how compassionately you honor the unique approaches you take to forgiveness. What a delight to listen to you two chat about forgiveness and encourage us to continue being curious and personalizing our own paths. Thank you Denise! Personalizing our paths is so much more fun than following someone else’s. So glad you enjoyed the interview! I LOVE you both. Deeply. I can (and do!) take both of your methods, in addition to a sprinkling of others, and entwine them into an exercise that is perfect, whole, and complete…. specifically tailored for ME, applied as needed.